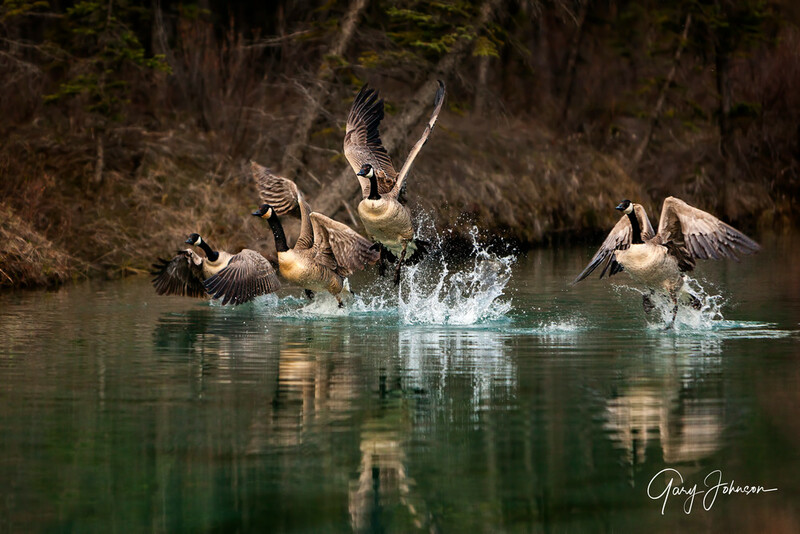 I photographed these 4 Canadian Geese in Alberta, Canada just west of Canmore. We arrived very early in the morning to photograph "The Three Sisters" Mountain with a reflection, but these 4 geese were determined to create ripples on the water. Finally, they headed up stream and I captured some images of the mountain. 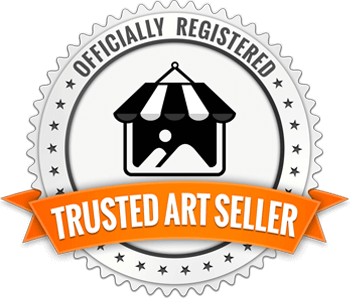 All of a sudden, more ripples started across my scene. This time it was a beaver swimming by. After I photographed the beaver, my friend told me he would walk up stream and get the geese to fly toward me. I was ready with my camera and lucky enough to catch them perfectly posed as they ran along the water during take-off. I knew it immediately that this shot made my whole trip to Canada!